The Dramatists Guild Fund, Inc.
How does Dan Burnham go on when his creative partner John Root dies suddenly before the Fair is even planned? What demands does Louis Sullivan make for his Transportation Building? What is the battle between Eastern and Western architecture that plays out in the design of the main buildings? 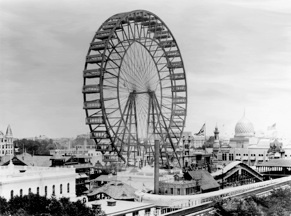 What role did African-Americans, women, and immigrants play in the building of the Fair? When will our interest in the Fair lessen? Never!